Dry winter skin is something that seems to unite us all, whether we’re experiencing a colder than normal winter on the east coast or a drier than expected season in the west. 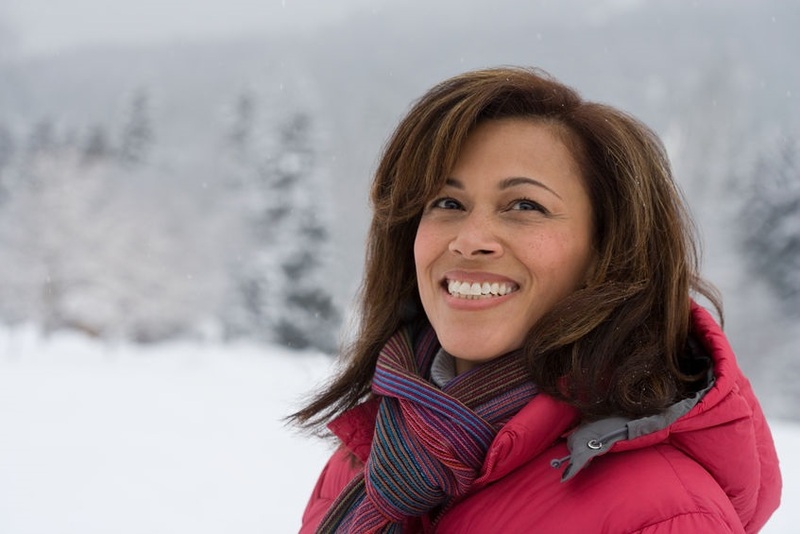 Although changes in hormones can also result in dry skin, it is the cold winds, low humidity and constant exposure to indoor heating at this time of year that most likely contribute to the typically dry and itchy skin that plagues many of us. More than being just annoying and aesthetically unappealing, severely dry skin can crack, causing a perfect entryway for germs, with an increased risk of infection. While most of us know that moisturizing is key, we may also find that our favorite facial and body lotions just aren’t quite up to the job. Exfoliate, Exfoliate, Exfoliate. If there’s one step in our skin care routine that regularly gets missed, it’s exfoliation. While we can apply any number of moisturizers, they’re hindered from doing their job effectively if they can’t get through a barrier of dead skin cells! Whether you choose to exfoliate mechanically with a dry brush, facecloth and scrubs or whether you opt for the chemical route using alpha hydroxy acids like glycolic acid, exfoliating will allow the skin to better absorb the active and hydrating ingredients in your treatments. As a bonus, removing those dry, dead skin cells will allow the healthy, bright skin to shine through. Add a Facial Oil. Depending on the condition of the skin, the time of year and levels of humidity, we don’t believe that moisturizers for the face are always essential. However, thanks to the drier than usual weather and, to be honest, changes in our skin as we age, we’ve found ourselves reaching for a moisturizer more often in the past few months. Although conventional wisdom suggests using a moisturizer first and then sealing it in with a facial oil, we’ve found a time saving trick that works just as well – take a dollop of moisturizer mixed with two drops of Apothekari Rejuvenating Oil Elixir in the palm of the hand before applying to your face. Want to extend that TLC to the body? Add a few drops of rosehip oil or Apothekari Rejuvenating Oil Elixir to your body lotion for baby soft skin. Say Hello to Urea. A dry skin specialist ingredient, urea is common yet, in our opinion, underrated in many skin care products. A natural moisturizer found within the skin itself, urea’s power is two-fold; as a humectant, urea attracts moisture to the skin while its natural exfoliating properties help remove dry, dead skin cells. When used on the body, it moisturizes while soothing dry, chapped skin, providing relief from itching and irritation. We’re big fans of urea when it comes to the inevitable dry hands and rough heels that seem to be part and parcel of winter. Where regular creams fall short, moisturizers with urea for the hands and feet work like magic. We keep Ureaka Hand Cream and Flexitol Heel Magic right beside the bed so there are no excuses. We promise, with a little bit of consistency, your skin will be ready to say goodbye to boots and coats and hello to sandals and sweaters. Spring can’t come soon enough.